Представляем Вашему вниманию английский перевод основного программного документа НСИ. Russian people faced the XXI century being deprived of civil rights, downtrodden and dissociated. Russians don't have their own national statehood. They are hostages of the government antinational policy, of the ethnocratic states having been established instead of the former Soviet republics. The total lawlessness, the obvious and hidden discrimination, the absence of the social oppression protection tools, the low standard of living are the modern situation for Russians. As a result of the long antinational policy the situation of the Russian nation is disastrous. The wide diffusion of antisocial behavioral models, social diseases as an alcoholism, a drug addiction, a low birthrates and a high mortality, a social apathy all over, - are the nation progressive degradation evidence, and also allow to conclude of the disappointing future for the Russian nation. Today we face the deadline which detachs us from a historical nihility deep or otherwise the raising to new borders of a historical glory. 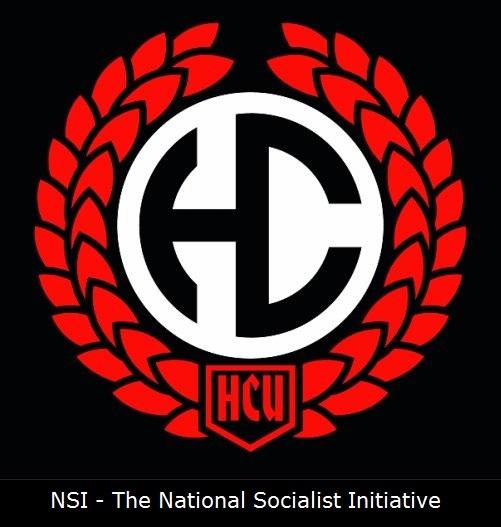 To reach the rebirth of the nation and create its maintenance and development basic conditions we the Russian national socialists invoke the Russian people to unite and struggle. Our goal is a creation of the Russian national state based on the national solidarity principles and the social justice, which is going to be the Russian people rights protection true tool all over the world. On the opposite to the present antinational Russian Federation the only Russian state existance aim will be to provide the decent living standard to each Russian man and woman, to obtain the background for their right spiritual, ethic and intellectual growth. Each ethnically Russian should get a right for the Russian state citizenship. The Russian state should be limited in the natural ethnically Russian populated area borders. 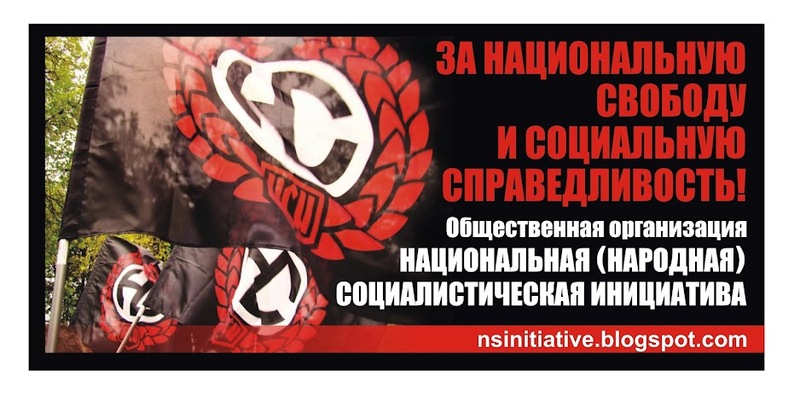 Our goal is the establishment of the public socialist order based on the traditional Russian Justice, the wide self-governance and the direct democracy. The Russian Law will secure Russians as the title nation and mark the Russian people protection as a State and Government agencies absolute priority. The local self-governance authority will be expanded comprehensively. The national important issues will be decided on public plebiscites which are going to become regular. The decisions made on the national or municipal plebiscites will be strictly binding to all Government agencies. The armed people will be the warrantor for the public socialist order. Each adult man will get a right to own a firearm if psychically well and leading a socially reasonable lifestyle. The Internal Troops will be abolished and replaced with the Russian National Guard. Our goal is a socialist conversion of the society, a social structure modification in a social justice spirit. The oligarchs' funds and property will be "socialized" and passed on to the National State governance. Over-profits are to be charged with super-taxes. The aids and appliances, as well the profits from the countrie's mineral resources, will be directed to special foundations to decide main social issues - such as a quality and affordable health care, a free education, a cheap accomodation, an establishing the young people educational facilities. The work of the Social foundations will be supervised by independent community councils which every citizen is going to obtain the right to take part in. The working class social protection and the vulnerable groups protection wil be comprehensive. The vertical social mobility and the continuous elites renewal will be provided with an overall free university education, a systematic testing on an aptitude and skills, a system of nominations on any job positions valuing only pesonal attainments, personal features and deserts. Our goal is a Russian people ethnocultural identity maintenance. We oppose a multiculturalism and a globalization. The ethnical minorities without a statehood abroad will get a law protected cultural autonomy. The National state activity we be directed on the Russian traditional culture conservation and protection, the Russian national (ethnic) self-conscience rebirth and maintenance, the struggle against the globalist mass-cultural surrogates and the cosmopolitanism. An activity on washing out the Russian ethnical identity will be alleged criminal and prosecuted. And finally.... Our goal is a forming of the race ideology based on the responsibility for the white people destiny all over the world. Believing in the racial influence exclusive importance as a historical process moving power, we seek for our race maintenance and its creative spirit's rebirth. Our duty is to stand defending the racial values and the civilization created by white people.